The compatibility of Imeon solar inverters and BYD lithium batteries, as certified by both companies, allows users to enjoy a reliable solution for energy autonomy and to advance renewable energies. This compatibility also gives the company the opportunity to strengthen its position in high potential markets such as Australia or Europe where BYD is particularly well established. 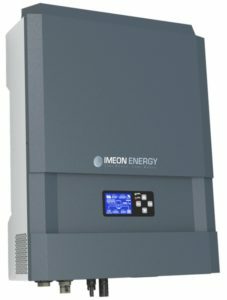 This technological compatibility helps Imeon Energy to becoming a major player in the field of hybrid solar inverters for self-consumption with battery storage. Battery storage is a key element of self-consumption. This compatibility also allows installers to offer their customers high storage capacity at a low cost. The B-Box pro battery module with a capacity of 2,5 kW is scalable up to 10 kW providing a large storage capacity and the technology used allows a significant charge and discharge power.